The join-as-you-go method is one of my most favourite crochet techniques. It allows me to make a gazillion of motifs without worrying about weaving in all the ends. 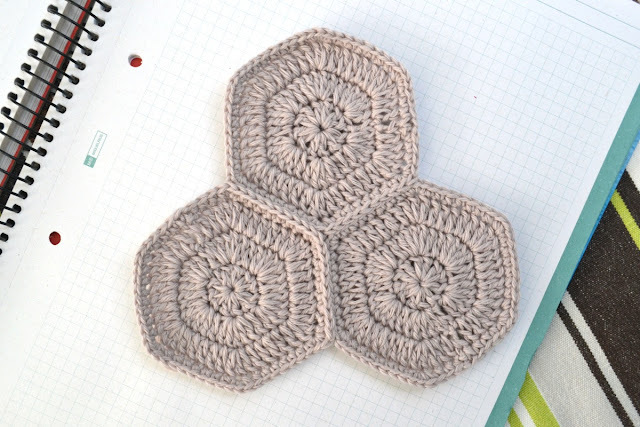 Once you get the main idea of this method, you will be able to join any type of motifs, no matter what shape they are and whether they are lacy or solid. The idea is this: the joining of a stitch (or several stitches) is part of the crocheting of that stitch. This is what makes this method different from all others requiring you to finish the motifs first and then join them together. This means that the side of a motif, which is to be joined, should not be completed yet. So you need to work the last round of the motif all the way up to the joining side(s) and then stop. The actual joining stitches to be worked will depend on the motif in question. 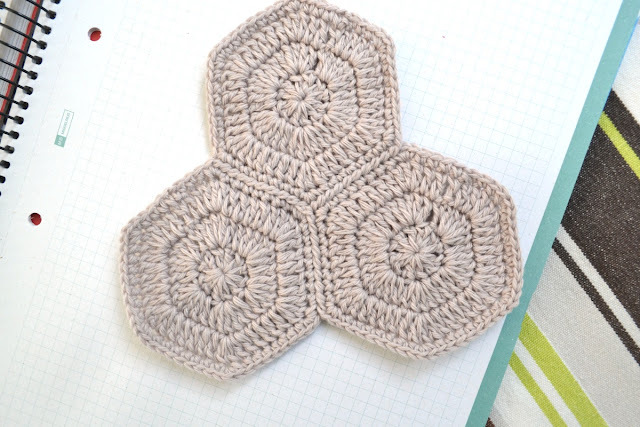 It may be a solid stitch round, it may have chain-3 or chain-5 space corners, it may be lacy or have groups of stitches (like 3 doube crochet groups in a classic granny square, bobble stitches, V-stitches, or even picots). 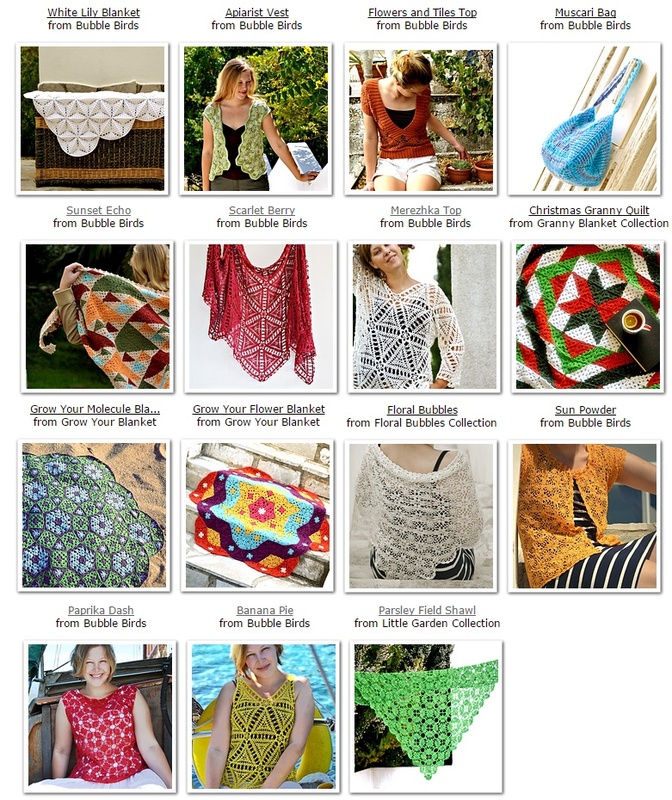 No matter what stitches the pattern requires you to make, they all can be joined as-you-go. Your only task is to determine these joining points. Let's start with the simplest! Today I would like to show you two possible methods of stitch joining (how they are worked and what they look like), so you will be able to pick whichever fits your requirements and choose the most appropriate one. To demonstrate these methods, I chose a solid hexagon motif with the last round consisting entirely of single crochet stitches. 1. Complete one motif. Complete another motif, working through all of the rounds except the last one. Work the first side up to the corner stitch (or work as many sides as you wish, leaving at least one side of the motif unfinished for joining). 2. Now work the corner stitch. Remove the hook from the loop and insert it in both loops of the corresponding (corner) stitch of the adjoining motif going from back to front. (Please note that the motifs are not lying flat as they are in the photo. You are holding them in your hands with the wrong sides facing, so the words "back" and "front" describe the direction of the hook movement and not the actual sides of the motif). 3. Grab the dropped loop and pull it through the stitch. With one loop on the hook, work the next stitch of the round. 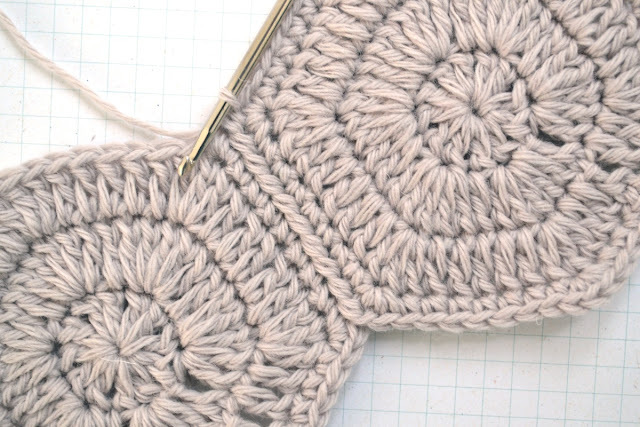 Repeat steps 2 and 3 to the center stitch of the second corner. 4. Work the center stitch of the second corner, join it with the corresponding stitch of the adjoining motif by removing the hook from the loop, reinserting it and pulling the loop through the corresponding stitch. One side complete! This joining seam is flat and thin, it looks like a pretty spiral line. Finish the rest of the sides as per your pattern, cut the yarn and fasten it off. 4. 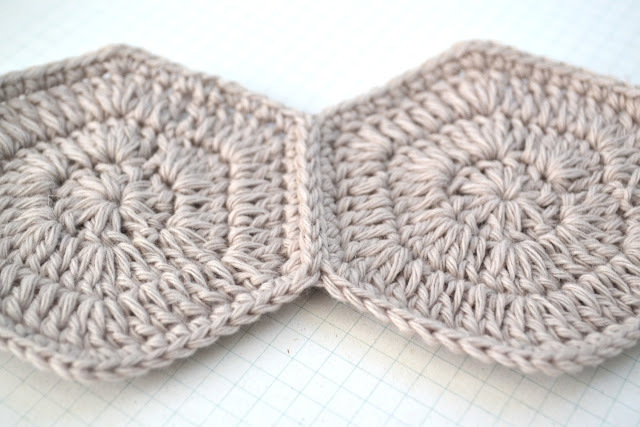 To join two (or more) sides, leave the sides to be joined unfinished and repeat the instructions above. There will be no room for joining the center stitch of the second corner (because the corner stitches of the first two motifs are already joined), so simply skip joining it and leave it as is. Pretty, right? But a little bit tricky and time-consuming because of all these "drop and reinsert" hook movements. Let's have a look at an alternative method, which is quicker, easier and looks different. This time, insert your hook in the front loop of the corresponding stitch (corner stitch) of the adjoining motif, going from back to front, before working the center stitch of the first corner. With the two loops on the hook, work the stitch as normal, but finish it using the two loops on the hook (just as if it were one loop). When the first stitch is completed, insert the hook in the front loop of the next stitch and, with the two loops on the hook, work the next stitch per your pattern (remember: join, then work!). 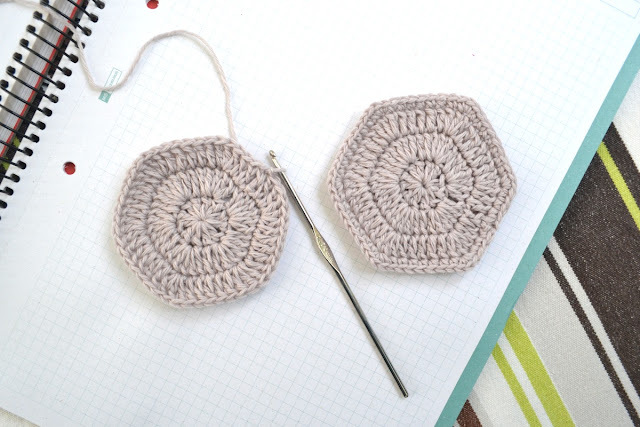 As you see, with this method, you don't need to remove your hook from the loop: simply insert it in the stitch and keep crocheting. The seam is textured and it looks like a chain between your motifs. 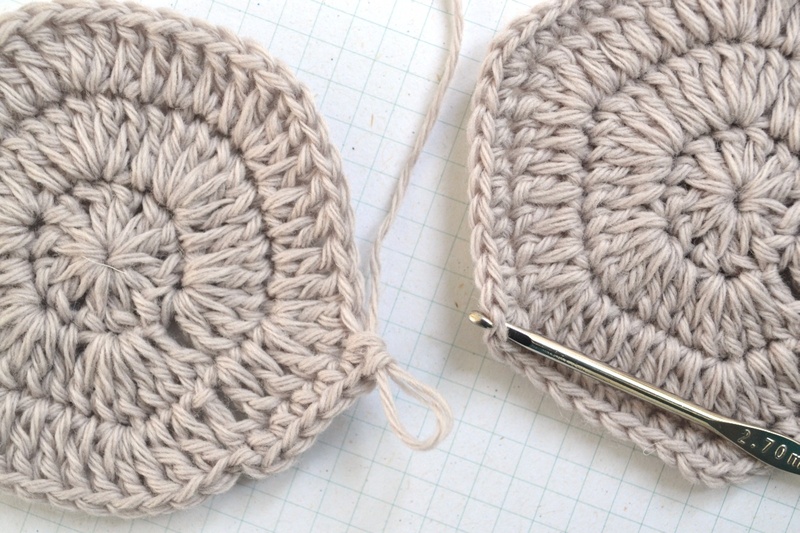 It is thicker then the spiral seam join, but if worked with taller stitches (such as double crochet), it looks flatter. 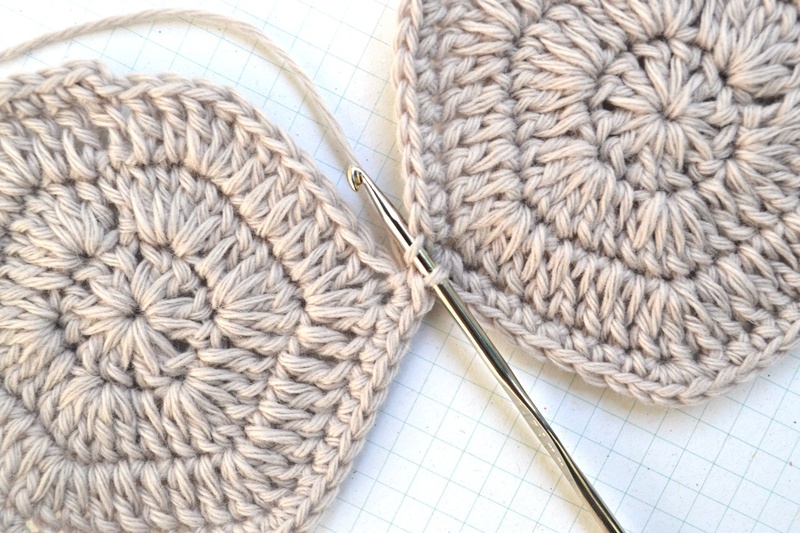 Both methods can be used to join a group of stitches or a single stitch. Just decide what look you prefer and choose the most appropriate way of joining. And remember the rules! Next time, I will show you how to deal with lacy motifs with chain spaces, picots and how to fill the gaps between the corners.